It all started with a cholera outbreak in Paris and a map that, for the first time, pinpointed specific clusters of people the epidemic had struck. That was in the early 19th century. Next thing you know, folks started using pushpins with heads of different colors to depict various clusters of things on paper maps: from fire hydrants to forest inventory, from archaeological applications to zoological ones. The world’s a long way from paper maps and pushpins; maps used to be all about images -- sea monsters undulating around unknown vague land masses – and now maps are all about data. It’s not about what’s ON the map anymore, it’s about what’s IN the map; it’s not enough anymore to show where a cluster of cholera patients may be living, we have to get to the very diseased cells themselves, in order to immediately nip the epidemic in the bud. In today’s data-driven world, a Geographic Information System (GIS) doesn’t just help manage data, it keeps that data’s network flowing. It’s nice to have a superhighway, but if it’s chockfull of potholes, collapsed bridges and hairpin turns, the traffic’s not going to move so well. And all of that is why more and more people turn to Palmetto Engineering’s CrescentLink solution. 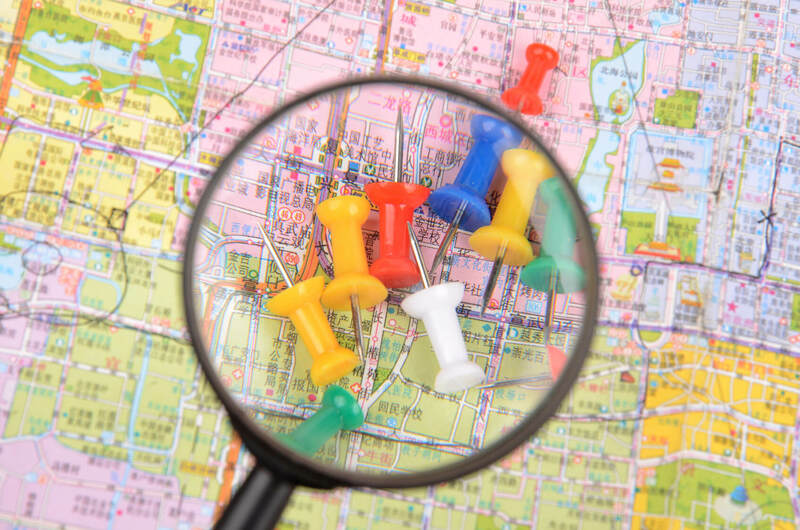 CrescentLink’s robust, feature-rich GIS management system pinpoints a network problem to any point on a network - a point smaller than the head of a colored pushpin. Getting so much data from one place to another requires lines of connectivity, and, like maps, that technology has changed, too. Copper lines, coaxial cables (often made of copper), UTP and now fiber-optic cables are giving way to coax-fiber hybrids and wireless FTTH and “cloud” networks. And CrescentLink can get inside all of those to ensure fast, free-flowing data. Remember when we were kids with our orange juice cans and string? We could talk over the “wire;” until the string broke. Fortunately, our strings weren’t all that long to begin with, so we didn’t need a map to figure out where our string broke so that we could fix it. But data and maps don’t work like strings and orange juice cans. Instead, CrescentLink’s interactive, user-friendly program gives you a real-time picture of your entire network - whether it’s the older copper wire, to the more-current fiber, coax, or hybrid cable, to the future of wireless and the cloud. Wherever data goes and whatever network it’s carried on, CrescentLink provides the ultimate surveillance-and-interpretation diagnostics for the most sophisticated maps the world has ever known.